– Kell Brook makes easy work of Jo Jo Dan, stopping him in four rounds. 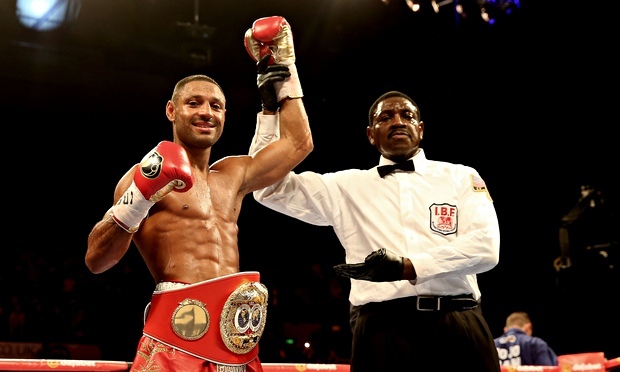 What’s next for Kell Brook? Will the Brook – Khan fight finally happen, or is there something else in line for “Special K”? – Gary Russell Jr. impressively takes apart Jhonny Gonzalez, stopping him in four rounds to win the WBC Featherweight title. Was that a good Russell Jr., a bad Gonzalez or both, and what’s in Russell Jr.’s future? – We analyze the Jermell Charlo’s tightly contested win over Vanes Martirosyan. Who do you think won the fight? – Nonito Donaire destroys William Prado. With the “Filipino Flash” back at Jr. Featherweight, will we see a return a return to form? – Juan Francisco Estrada makes easy work of Rommel Asenjo. What’s next for what may be the best Flyweight in the world? – Andre Ward says that he will fight a rematch with Carl Froch… just not in the UK.